"When you love what you do, take pride in your work and enjoy making others happy you will always do your best." When it comes to quality flooring C .Phillips Flooring strives for the best! C. Phillips Flooring are the experts you need to call. We offer years of experience in customer service and flooring installation. C. Phillips Flooring only uses the highest quality materials and do not consider a job complete unless you are 100% happy with our work. We offer full installation solutions to residential and commercial clients, guaranteeing your home or business will look flawless with new floors. 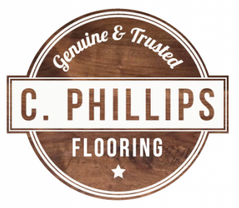 Whether you’re switching your floors for convenience or style, you can trust C. Phillips Flooring to deliver incredible service at unbeatable prices. Call or send a message today for a free estimate. We look forward to assisting you!